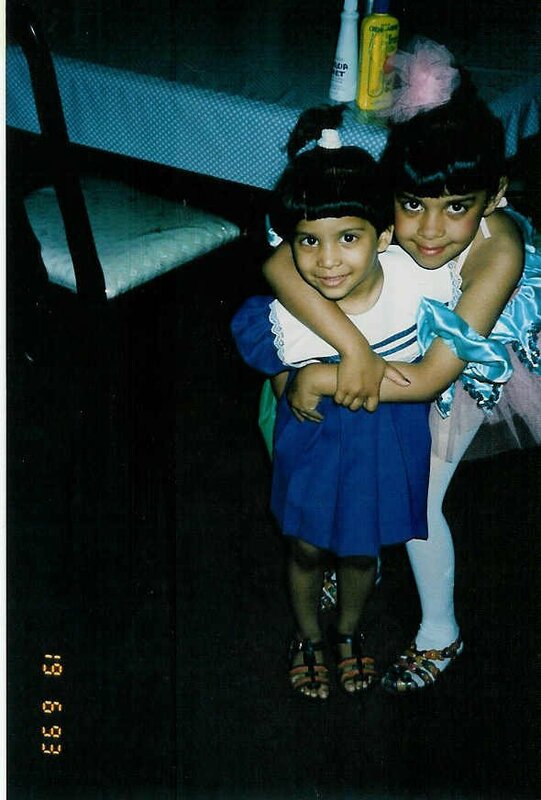 I’ve been trying to write this post for a while and can’t think of anything to say without getting choked up at the thought of my baby sister turning 21. To me, she’s still the bald infant menace who was determined to get her “nosey-nose” back after I’d “stolen” it off of her face hours earlier. Sylvia rules. 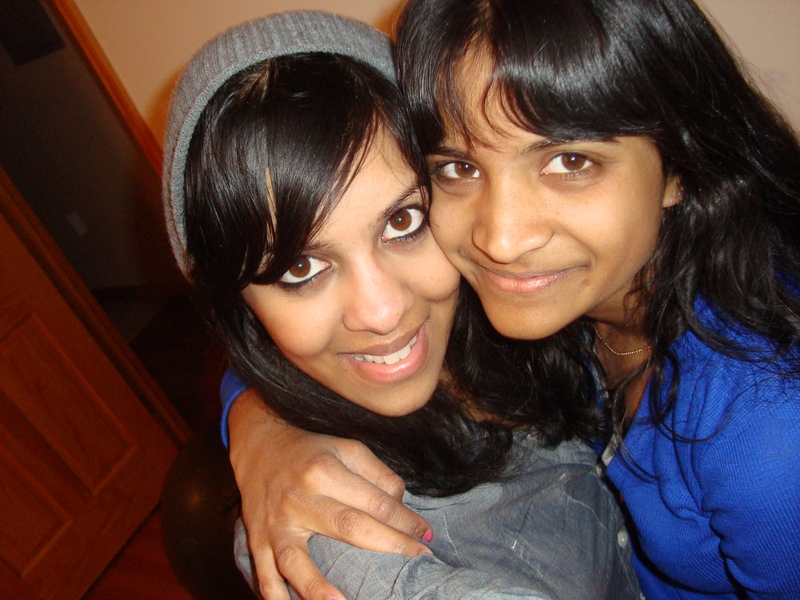 She’s my best friend and the kind of family I am really, really grateful to be stuck with forever. She’s the only person who’s allowed to call me Chuckie Finster, the only person who can tell me I look ridiculous in a fedora without making me cry, and the girl who insisted that the worst bad ex I’ve ever had was “probably off dead somewhere.” You may find that sick. I find that hilarious. So does Sylvia. This is why she rules. Also, this is why she rules (it was my Christmas present from her). I could go on, but this is not the Sylvia Show. Sylvia is the baby of the family, so her whole life is the Sylvia Show (sorry kid, I had to get one dig in there). So, why Sylvapotamus? I’m not really sure. She’s thin as a rail, but the nickname and the thought of her face superimposed on a massive hippo with swollen hooves have always brought us to crazy laughing tears. Did I mention we’ve both got sort of a twisted sense of humor? Anyway, to celebrate, obviously I have decided to bake for her. And before you call me out for being cheap, let me mention that these treats are just some of many awesome surprises in store for the little one. Onward! Her face? Wha? 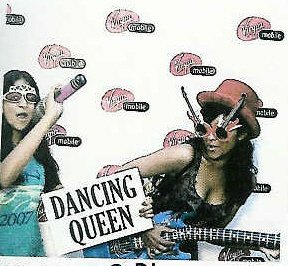 Yes, there is a company that will print an image you send to them on an edible sheet and have it shipped to you. And I would totally recommend that if you decide to sort of creepily bake a cake with someone’s likeness smacked on it, you check with these people. *You don’t necessarily need to use whole wheat flour. I really like using it in cookie recipes because it gives the cookies a nuttier flavor. If you don’t have any on hand, you can just go with all-purpose flour all the way. Preheat the oven to 350°F. In a small bowl, sift together the flour[s], baking powder and salt. In a separate bowl, cream together the butter and sugar. When fully combined, beat in the egg, then slowly fold in dry ingredients until a dough forms. When everything’s mixed, add in your chocolate chips and pecans. 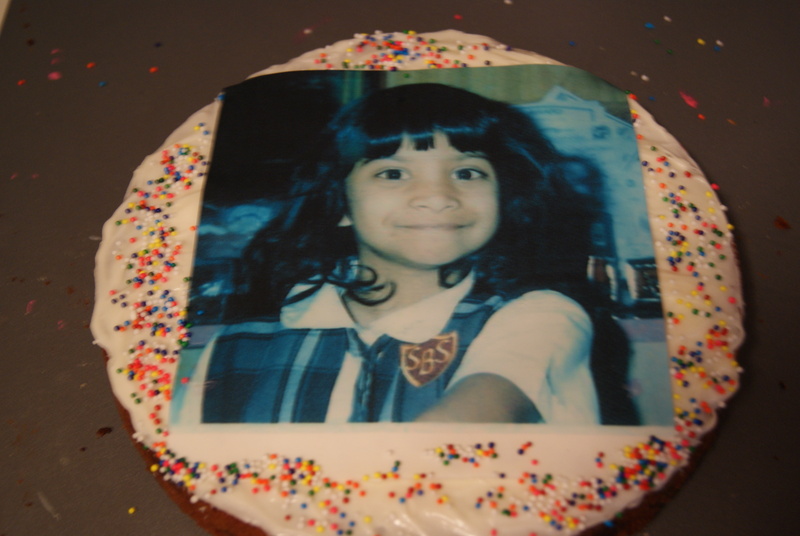 Since this is a cake, it needs frosting. Since I love cream cheese everything, it needs cream cheese frosting. You can find the recipe right here. Spread it evenly over the cookie, making sure to have it as smooth as possible if you’re placing an edible photo of your sister/dog/postman (I don’t know) on it. The instructions say to keep the edible print shielded from light until it’s to be used, so I left it inside of the Ziploc bag inside of the FedEx envelope in which it was delivered. I then cut it down to an appropriate size (be really careful handling it), peeled off the paper backing and slowly laid it on top of the icing. Then I added sprinkles because…whatever, because I did. She's about six in this picture. All together now: "Awwww"
Oh, also, remember how her name is Sylvapotamus? 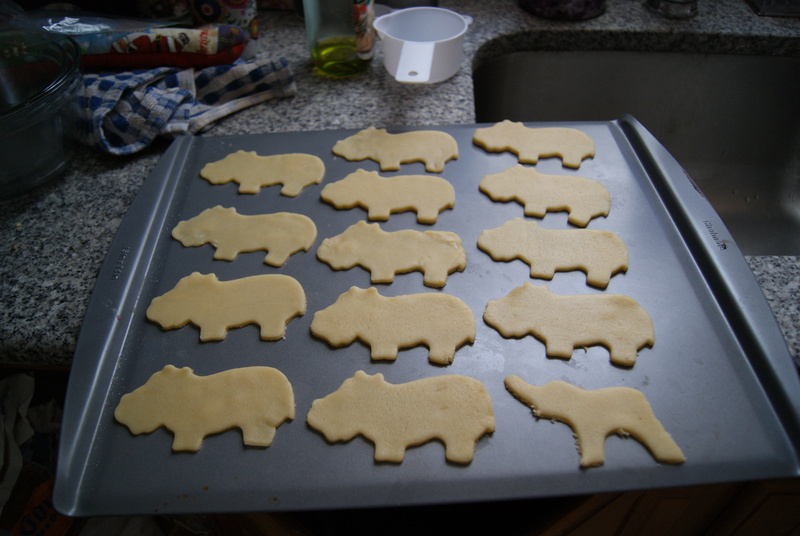 Well, I found this rad hippo cookie cutter that I knew I needed in my life, and figured sugar cookies wouldn’t hurt. I must be trying to turn her into an actual hippo. I left out the lemon because…eh. I didn’t want these to have a citrus-y taste to them, but you may do as you wish. 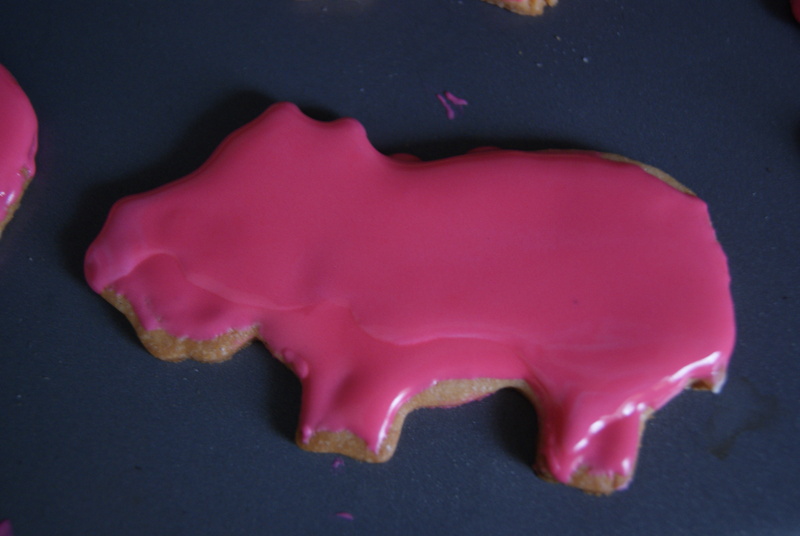 Oh, also, I dyed the icing a bright pink because pink hippos and one lone pink elephant make me laugh. 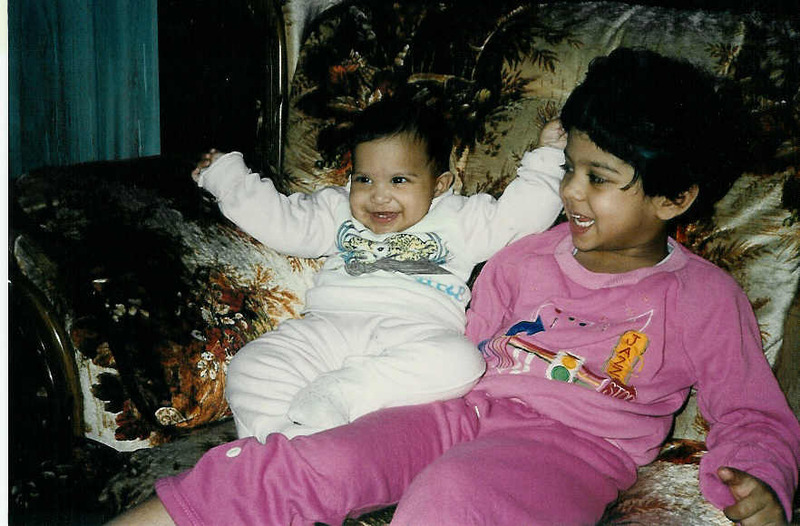 And I am assuming that since the sis and I are on the same wavelength amusement-wise, she’ll be tickled too. I wasn't done spreading yet. Also, hippos have really uneven, dry skin, ok? You can just dip one side of the cookie in a bowl filled with the icing, then use a butter knife to smooth off the excess. Give these about half an hour to completely dry, and you’re all set. Dunzo. Can YOU spot the elephant? Whew. This one definitely took some work and a bit of advanced planning, but it was all well worth it. Happy Birthday, Sliwa! Let’s hope next year’s Christmas present isn’t a t-shirt of Sylvia punching Jesus. 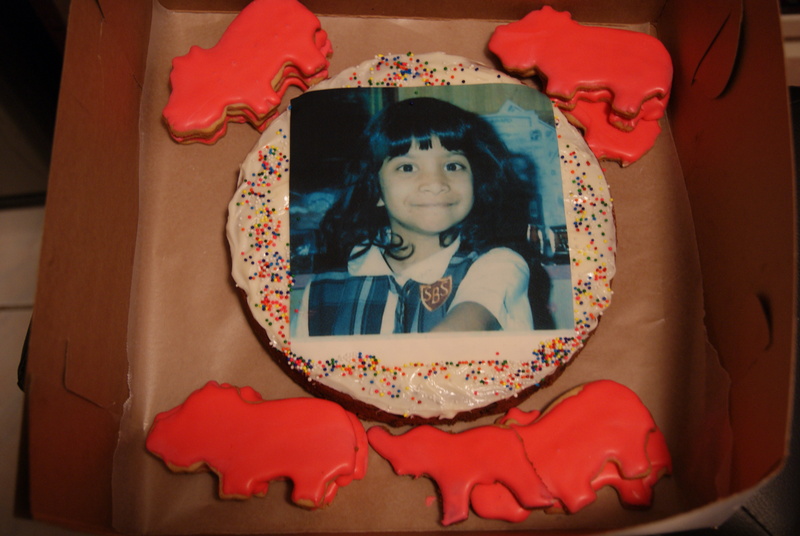 Awesome looking cake and cookies, Sybil. Did you take a pic of sinister Sylvia slicing her own neck when she cut it? If ONLY I got a snapshot of that happening! 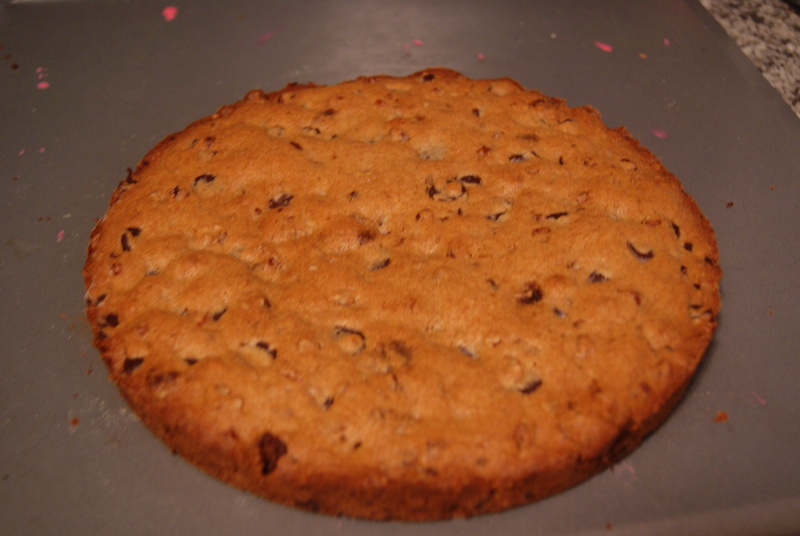 Also, since she saw this as a large cookie and not a cake, the child went all in with her hands. That’s Sylvo for ya!